The BeeKeepers are an amazing folk band from Connecticut. 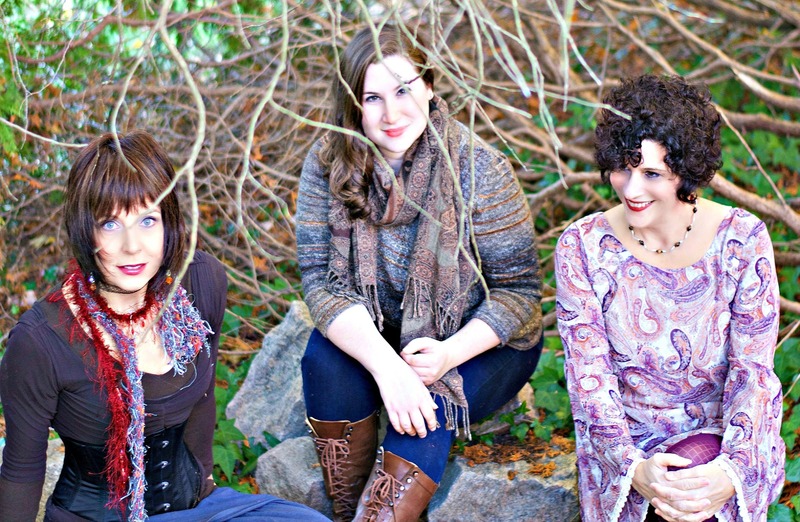 This trio of women bring a sense of refreshment to the music industry and have established themselves as Connecticut’s number #1 indie band. Their music is exceptionally brilliant, enough to put them on the road to becoming a household name by some standards. Recently, I had the opportunity to chat with The BeeKeepers and found their history, philosophy, and talent somewhat phenomenal. I invite you to listen to our conversation. Hopefully, you’ll gain as much as I did from the experience. The BeeKeepers have an impressive sound and are building a culture because of it. Warlock Asylum: Thanks for taking the time to answer a few question and share some of your insights about music and life in general. However, for some of our subscribers that may not be familiar with your work, please introduce yourselves. Who are the BeeKeepers? The BeeKeepers: The BeeKeepers are an original, alternative folk group based out of New London, Connecticut, U.S. The group is made up of three woman who play 13 instruments and offer rich honeyed vocals and mesmerizing vocal harmonies. Winners of an Akademia Music Award for Best Folk/Singer-Songwriter EP, Amanda “Mandy” Sullivan, Sylvie Abate and Phred Mileski display dense and diverse instrumental ability on guitar, bass, u-bass, merlin, banjo, accordion, piano, hand-percussion, ukulele and more. Stylistically, The BeeKeepers amalgamate a variety of flavors into their sound, including folk, pop, alt rock, bluegrass and blues. Warlock Asylum: How did the BeeKeepers formulate as a band? The BeeKeepers: Amanda, Phred and Sylvie had performed together over the years in different classical ensembles then decided to form a group to showcase their original folk songs. Warlock Asylum: It’s such a groovy name, why The BeeKeepers? How did you find such a name for the group and your sound? The BeeKeepers: Thank you! A lot of people say that they love our name. Amanda is a big fan of Tori Amos who has a song titled The BeeKeeper. That may have been the spark. Ultimately our band name, The BeeKeepers, is about working together to produce something amazing. We often call our workspace, our hive. Hence the album title “Songs from the Hive.” The world needs Bees and the world needs music. Warlock Asylum: The three of you work and sound so good together. Yet, you are each a talent in your own right. Is there ever a problem in regards to egos or personal life for that manner? The BeeKeepers: We honestly get along so very well. We have such respect for each other. We are friends. We each have our own strengths and that is what we focus on. One interesting fact is that all three of us are classical trained musicians and I think that helps because we approach music in a similar fashion. Our rehearsals are very goal oriented and productive. Warlock Asylum: I will to personally congratulate you on the success of The BeeKeepers. The group has achieved over 42,000 song plays on ReverbNation and you’re ranked as the number one indie band in Connecticut and the surrounding region. Why do you think your music has reached the heights that it has and still climbing? The BeeKeepers: We pursue all avenues to spread our music: press, radio, tv, social media. Having a lot of press helps and we are grateful to the magazines that feature indie artists. SKOPE (skopemag.com) and Indie Spoonful (indie-spoonful.com) are two examples of online press that sent a lot of traffic our way. Warlock Asylum: Tell us about your album Songs From The Hive Volume 1. This is an incredible work and an enjoyable listen. How long did it take to create this album? The BeeKeepers: Recording took a few months because we were very prepared. Some of the tracks only took 1 or 2 takes. Phred is so talented that she even wrote the cello part to Yellow Flashing Lights in 10 minutes for our studio cellist to play. We have advantages like perfect pitch on our side! Warlock Asylum: Your sound is often classified in the press as “alternative” or “folk-pop”. Do you find these categories fitting? Warlock Asylum: What can we expect to hear from The BeeKeepers in the future? Any new projects? The BeeKeepers: Our next release, Vol. 2. is going to be a full CD. We intend to release it December, 2018. All three of us wrote songs for the upcoming project. *Thank you very much for sharing your talents with the world. I am so happy to see positive artists doing positive things. Warlock Asylum International News is in full support of The BeeKeepers. Wishing you all the best! Interview With A Living Legend Ray William Roldan! Thank you for this great interview! Working together and respecting each other creates the best results as you can see, they sound amazing! Thank you for that excellent article about us!